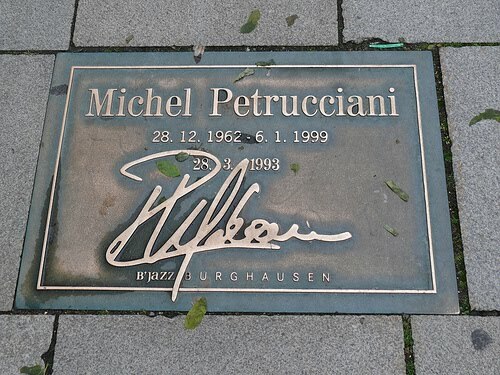 In one of the winding streets of Burghausen there is a "Jazz Walk of Fame." 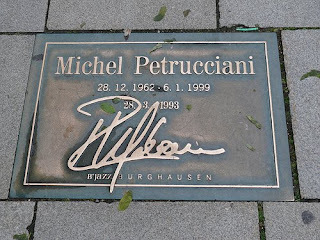 Visits by Lionel Hampton, Stan Getz, Art Blakey, Maynard Ferguson, and Miche Petrucciani ..to this town in Upper Bavaria, with the longest castle in Europe and once the court of the Kaiserin (Empress) Kunigunde...have been immortalized. In other news, Oliver Weindling has just been voted unanimously on to the board of the German organisation Radio Jazz Research. Tonight, Marcus Miller.